Very good deal! $39.90 for a carton of 3 packs with set discount of $20 off $100 and $10 cart coupon and $5 qpoints. repeated purchase. happy with it. Fast delivery ! Thank you seller ! Hi.. is the diapers made in Thailand? Dear customer, our diapers are made both in Thailand and indonesia. However, they are made using Japanese technology. The quality and standard of the products are no different from what you get at offline stores like NTUC/Cold storage. 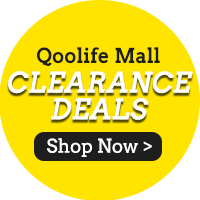 Qoolife only work with official brands to provide the best to our customers. Any expiry date? Thank you. Are they diapers or pants? I want diapers. May I know why is there 2 options for size m? No XL or XXL size? Do u have XXL boys at this same price $39.90? Thanks. Dear customer, these are clearance stocks. Only selected sizes are available.